Byrne Resources have recycling plants across Pinkenba and Eagle Farm for all your resource recovery, concrete recycling and demolition recovery needs. 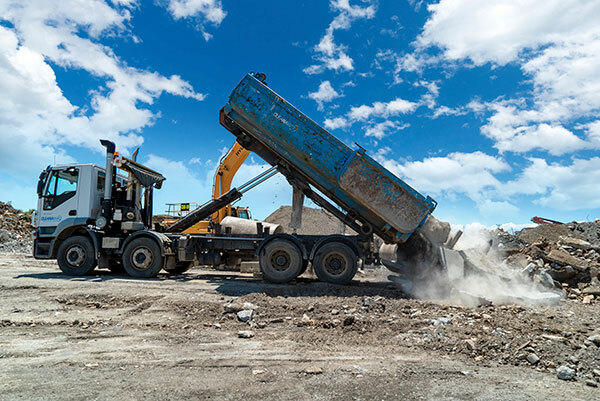 A recycling plant that specialises in concrete recycling, resource recovery and demolition recovery can be invaluable for individual owner-operators as well as civil works and construction companies throughout Brisbane, the Gold Coast and Sunshine Coast. Byrne Resources has two waste recycling plants stationed in Eagle Farm and Pinkenba, and we service these areas and the surrounds including Waterford, Brisbane and the Gold Coast. Our goal is to have the premier resource stations that the local communities turn to for their concrete recycling needs. Our dedication to our clients and our high-quality equipment transfers over from our project work to our recycling centres. We want to make our resource station quick and efficient to use whether you need it for demolition recovery or concrete recycling. 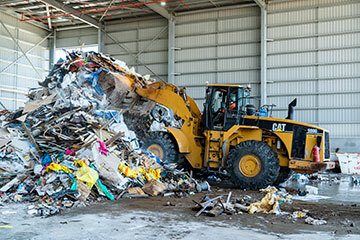 The aim of these recycling plants is to increase the volume of concrete recycling and debris from projects across Queensland and keep it out of the surrounding environment. We use the materials we get from jobs on the Gold Coast and Sunshine Coast to make aggregate, select fill, road base and structural fill. Byrne Resources' Eagle Farm recycling plant serves the Gold Coast, Sunshine Coast and Queensland-wide. Located at 45 Eagle Farm Road, this recycling plant is one of the larger recycling plants in Brisbane. Our facility's size, combined with our industry knowledge and processes, allows us to lead the industry in resource recovery. Bryce Resources works very closely with skip bin companies, property developers and contractors in the civil works, vac truck, drilling, demolition and trucking and logistics sectors. Bryne Resources' Main Beach recycling centre serves Brisbane, the Sunshine Coast and Gold Coast. Located at 70 Main Beach Road in Pinkenba, our newest recycling centre opened in early 2018. This waste recycling plant has excellent soil management systems in place along with concrete crushing operations and construction and demolition recovery. We work with a variety of industry professionals in Main Beach as well as in all our other recycling centres so that we can serve Waterford and Brisbane. Contact Bryne Resources for resource recovery today! If you need a waste recycling plant for projects in Millmerran, Byerwen or Eagle Farm, we encourage you to contact us. With our larger recycling plant in Brisbane and our newest recycling centre in Pinkenba, we have all the resources you need to complete your project and recycle your construction and demolition materials.